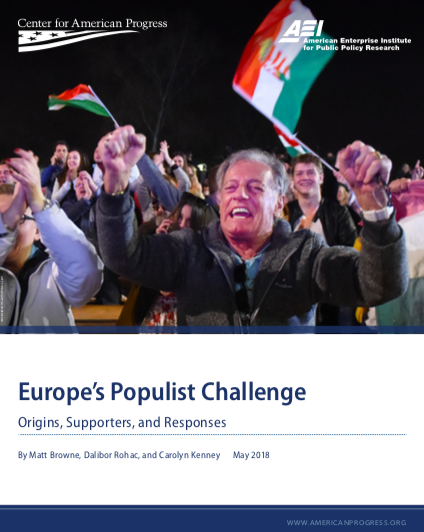 The report examines the drivers of populist support, focusing first on the current state of play before endeavoring to understand the reasons for populism’s resurgence in Europe. It then offers a series of policy recommendations that policymakers can use to fight back. Although the jury is still out on which political strategies work in which contexts, reconnecting Europe voters with mainstream politics is a critical part of addressing the challenge that authoritarian populism poses. The report was written by Matt Browne, Dalibor Rohac and Carolyn Kenney.